Inside your mild mannered pooch is a dingo just waiting to run free. This wooferang is the dog toy boomerang. It’s stronger than a kangaroo on steroids. The wooferang is also great for families with two dogs that are always fighting over who gets to carry the toy back. 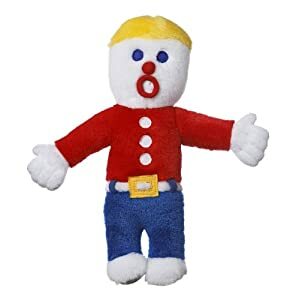 Mr. Bill made it fun to laugh at little guys getting clobbered. He was a claymation figure featured on Saturday Night Live back when it was funny. 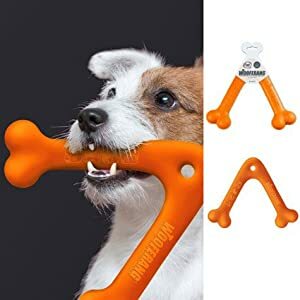 Now you can laugh as your dog chews him to pieces. Instead of a squeeker, this dog toy will say “oh nooooooooo!!!! !” when your dog bites down. Just watch out for Mr. Sluggo. Easter egg hunt at Alcala Pet Care, originally uploaded by Jim Lockwood. The dogs had a great time at Alcala Pet Care during Easter. We had our annual Easter egg hunt. The dogs that find the most eggs get a special Easter basket to take home. Believe it or not, the dogs are able to find the eggs, open them, and get the treats that are inside.